Riverpoint Condominiums and Townhomes have long since established their reputation as one of Portland's finest waterfront communities. A private marina, top-flight amenities and stunning panoramic views are just a few of the reasons to call Riverpoint home. Johns Landing is is also noted for it's dining, parks and recreational activities. 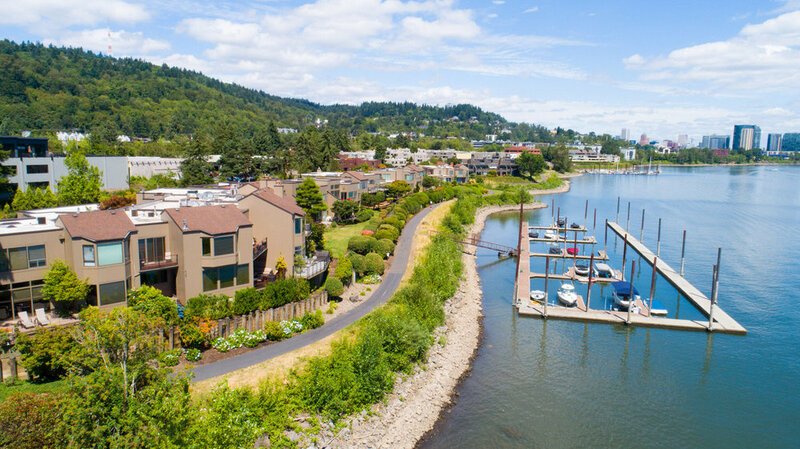 Located in southwest Portland, in Johns Landing between Dunthorpe and the South Waterfront District, the neighborhood is noted for it's walkability, dining, parks and access to world-class recreational activities. If you'd like more information on Atwater Place Condos, or expert representation from a broker who specializes in Portland waterfront condo, please contact Kathy Quick at 503-730-0702. Feel free to browse our interactive Waterfront Market Report. Riverpoint owners have access to a private marina. We'd love to show the amazing waterfront condos at Riverpoint. Want more information first? Please feel free to call Kathy Quick, Principal Broker, Quick + Associates Real Estate at 503-730-0702.